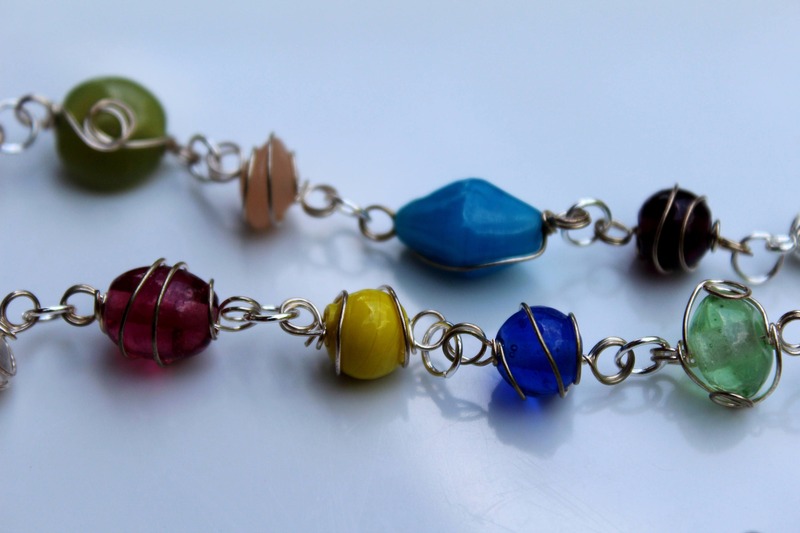 This necklace is a fun, colorful, wire-wrapped, glass bead necklace. It is easy to put on, with it's over-the-head no clasp design. If you like artsy, unique, and practical, this is the accessory you are looking for. 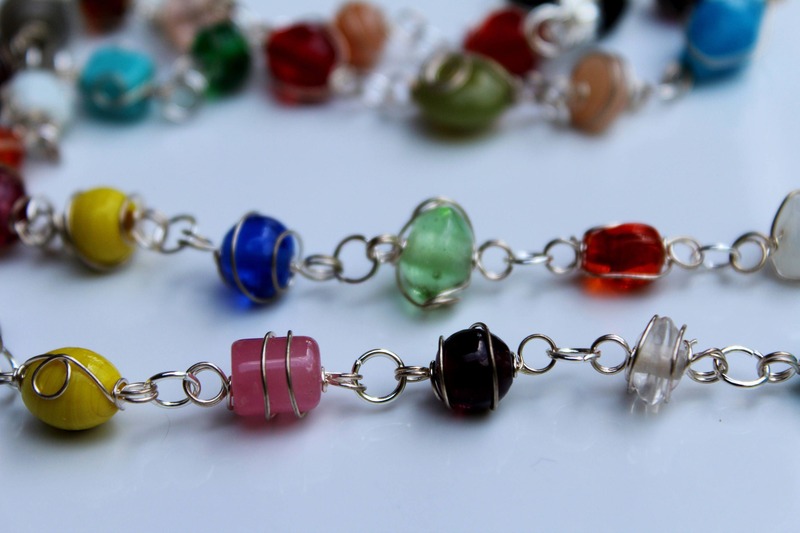 The wonderful assortment of colors will make it a definite "go-to" piece in your jewelry box, for it will complement so many styles and outfits! Please note: Each necklace will be unique. You will not receive the exact necklace shown. 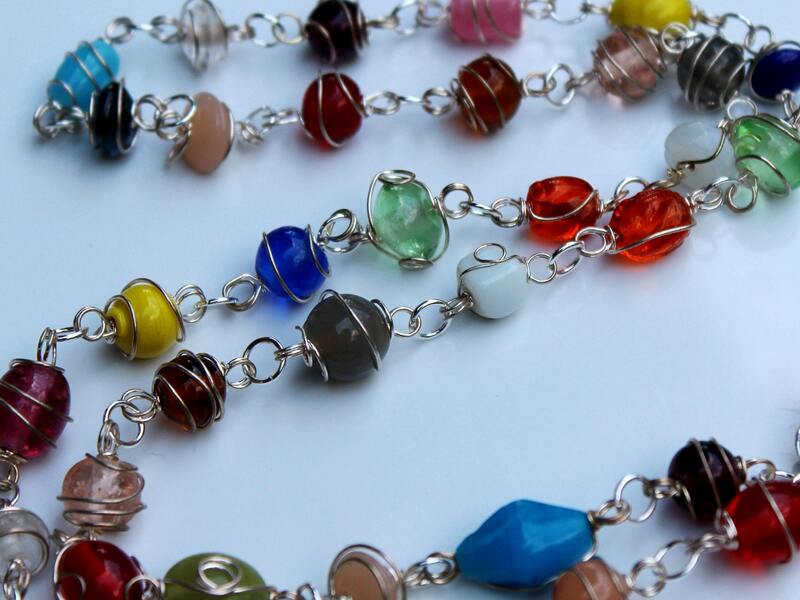 Due to the nature of hand made beads, each necklace will be made up of different shapes and colors. Each one can be considered a true work of art and OOAK. This entire necklace is approximately 30 inches long. This necklace is an original design. Created and handmade by Michele of MichelesAManoDesigns.